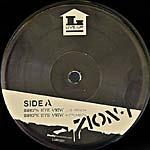 "Bird's Eye View" is a single by Oakland Hip Hop group Zion I, released in 2005 on Live Up Records. The single was the first released from their third album True & Livin'. The song, like Common's classic "I Used to Love H.E.R. ", addresses the state of Hip Hop by comparing the culture to a woman. The single's B-side is "Luv". "Bird's Eye View" contains a sample of the song "Old and Wise" by The Alan Parsons Project.